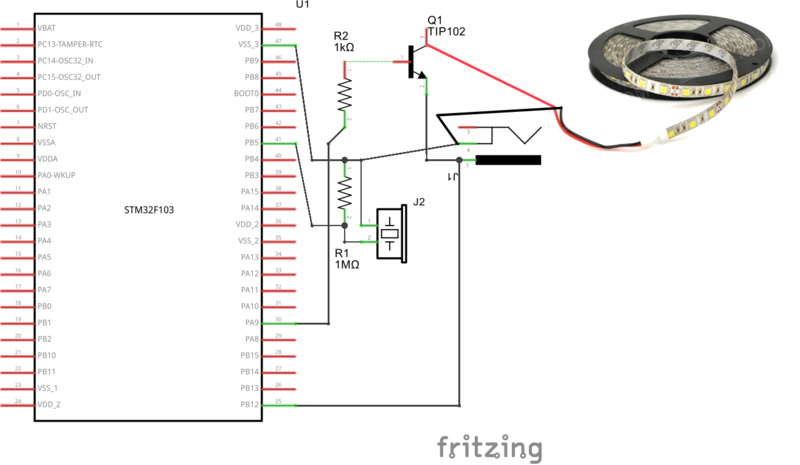 This is a very simple circuit to turn on/off a white LED strip powered from old 12V 1A wall adapter by knocking. Knock sensor is a piezo. This program detects knocks on piezo (pin 11) and turns on/off the LED strip via TIP102 on pin 3.
int THRESHOLD = 27; // needs to be adjusted according to your piezo type!